The hot news today comes from Kno, the digital textbook distributor. Today they announced a new deal with Houghton Mifflin Harcourt, one of the leading K-12 textbook publishers. HMH is, for the first time ever, getting into digital textbooks at below the college level. The ebooks are going to be priced at $10 each, and Kno has indicated that they are new adaptations of HMH's existing titles. Kno has improved upon the existing content by providing extras like videos, 3d models, their excellent note-taking abilities, a digital Journal that automatically saves a student’s notes and highlights them in a study notebook, and other features like Automatic Flash Cards. The target customer base isn't going to be school districts; instead Kno plans to pitch these new textbooks to parents. The idea is that parents will be able to save their kids' the strain involved in carrying a heavy backpack to and fro. This new market also gets HMH out of the classroom, where it would be competing with itself. HMH already controls about half the $8 billion K-12 textbook market, and any further growth there would tend to start eating itself. And of course HMH won't be limited to pitching the digital textbooks to the minority of schools who own iPads, which is a plus. 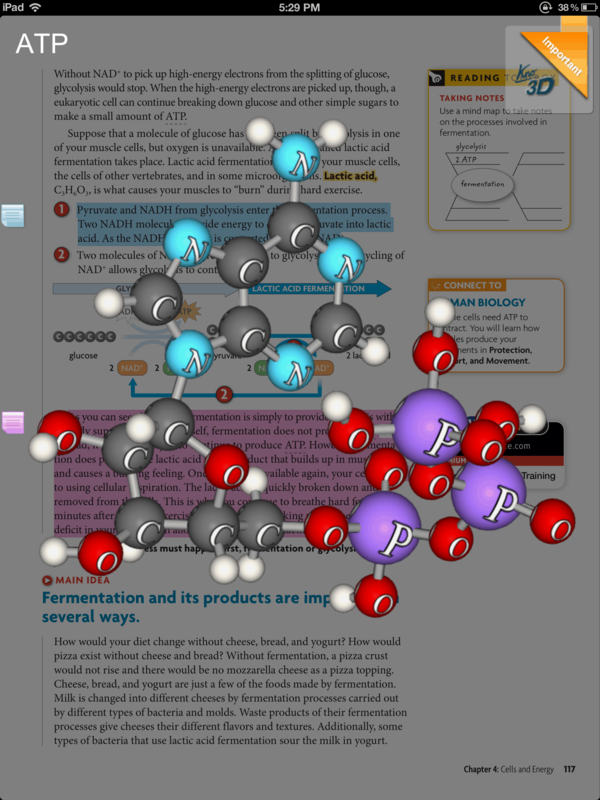 The new textbooks will work with Kno's existing iPad, Facebook, and browser based reading apps. Kno has also mentioned that they plan to have Android and Windows apps ready in time for the new school year. That's only a couple weeks away, so they're cutting it kinda close. What's most interesting about today's news isn't that the price is as low as $10 a copy, but that HMH and Kno are renting the ebooks by the year. That both is and isn't something new in the K-12 market; lots of digital content requires a yearly subscription. But it is relatively new for digital textbooks. So far as I know, the hot textbook platform iBooks doesn't support such a feature, nor does Kindle or the various Adobe based ebookstores (B&N, Kobo, etc). At least, I don't know of one where the option has been implemented. This means that Kno is in a position to offer publishers what they always wanted: a recurring yearly fee. Update: My brain was apparently on some type of sit-down strike earlier today when i wrote that. Both the Kindle and Adobe's Epub support expiring content. We know this because both have library ebooks and the Kindle even rents college textbooks. I'm sure you recall that when iBooks Author was unveiled a number of textbook publishers were on stage with new offers of $10 and $15 digital textbooks. Those are a couple price points that are far below the market rate for most textbooks, which can reach $100 to $200. But publishers were okay with the lower price because they were and are expecting to sell a new set of copies of the digital textbooks each year. The problem with that idea is that iBooks isn't set up to support it. So far as I can tell iBooks doesn't support expiring ebooks, so publishers can't use it for the textbook rentals that Kno announced today. 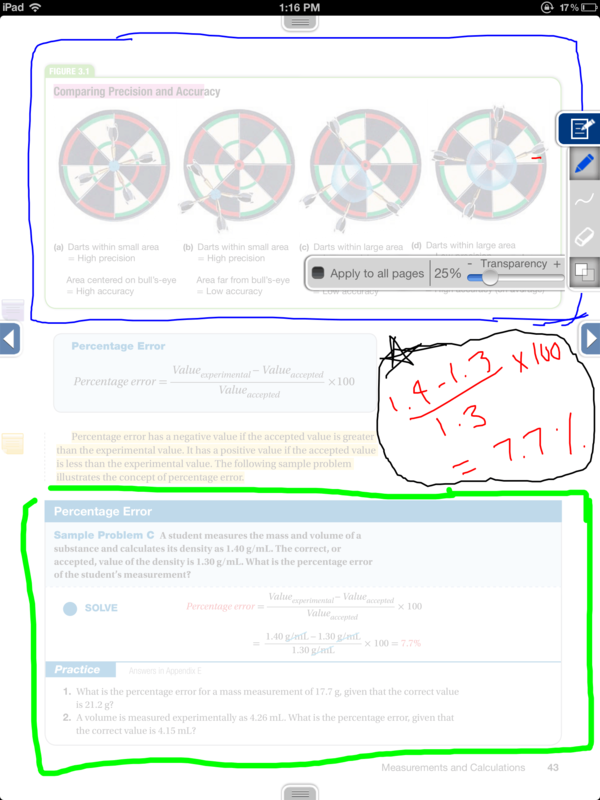 While that may not be such a big deal if you assume students will get the textbook on their own iPad, it is an issue when the iPads are assigned to a classroom. 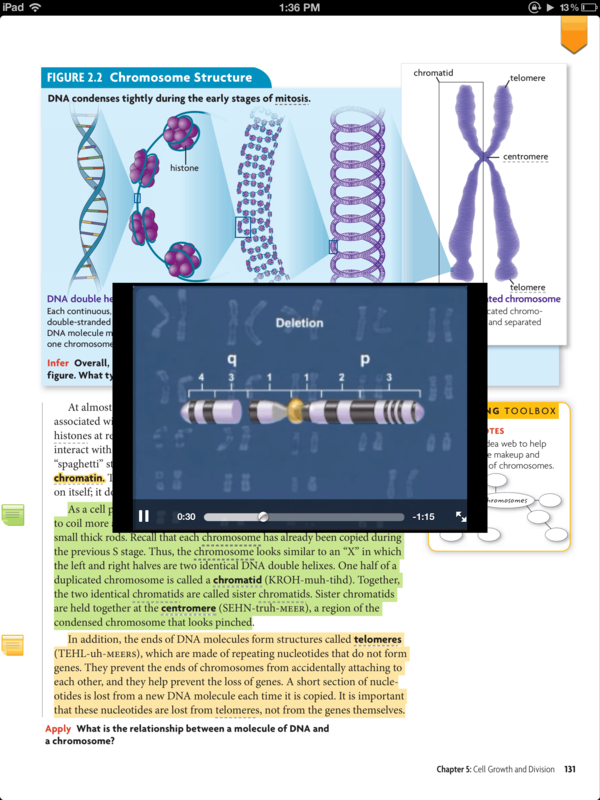 The iPads could get used for years with the original $10 textbooks. And this means that Kno is set to compete quite nicely with iBooks. They may not have a pretty ebook making app like iBooks Author, but they do have the income options that publishers want. And that is the ballgame. P.S. Do you know what else Kno can do? They can sell the content to more than just owners of Apple hardware. That level of cross-platform support is very important when you consider the fact that far more people own a PC than an iPad. Apple doesn't want to sell content to PC owners, and that will be their downfall.